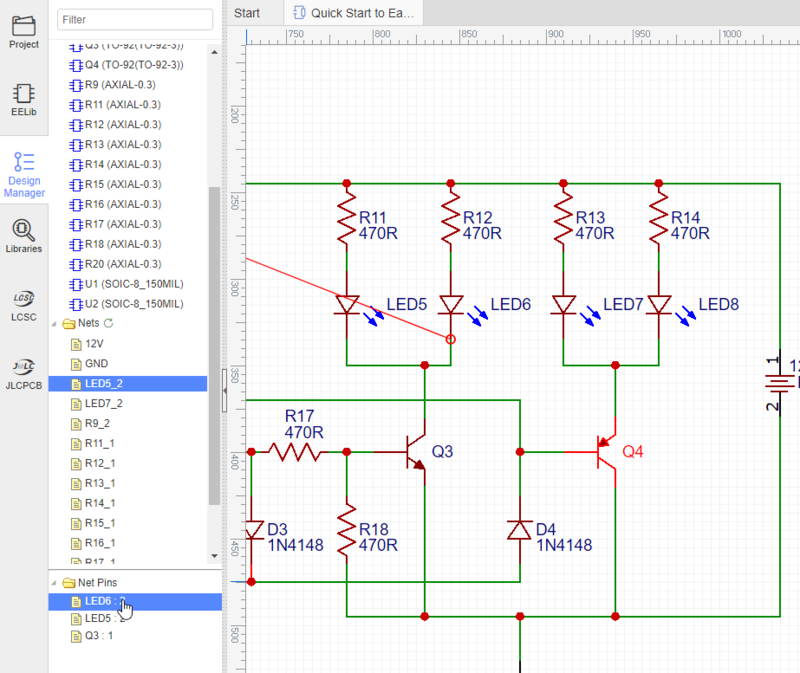 With large schematics it can be hard to find the components quickly. Sometimes, you may make a mistake such as wiring to a wrong component pin. So you need a tool to help you out. Design Manager is just the tool. Just press the CTRL+D hotkey to open the Design Manager. 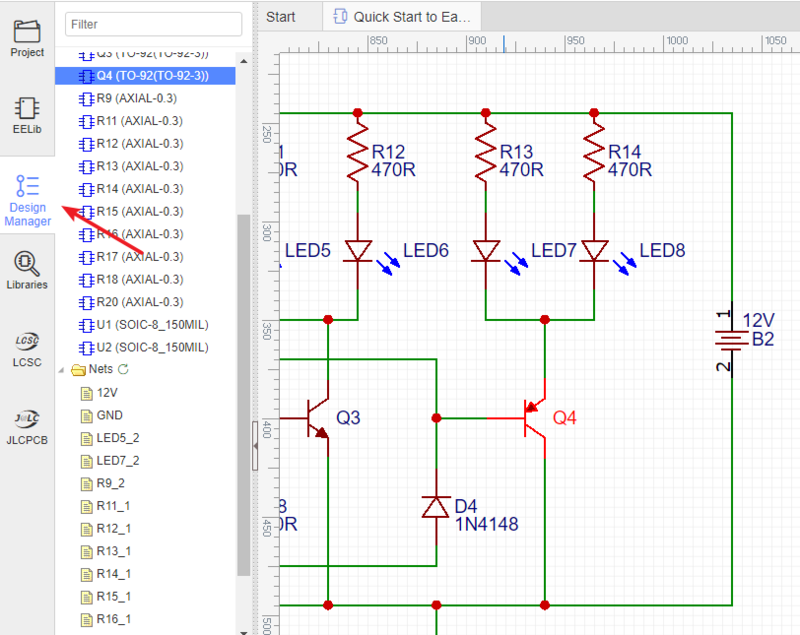 Components: Lists all the components in this schematic. Clicking on a Component item highlights that component and pans it to the center of the window. Nets: Lists all the nets in this schematic. A net must connect at least two Pins, or the net name will be marked as a red error. Net Pins/Parts Pins: Lists all the pins of the selected net name or components.